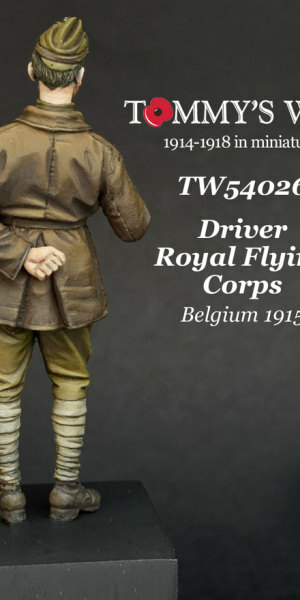 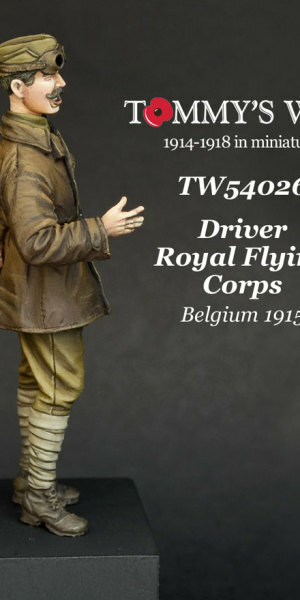 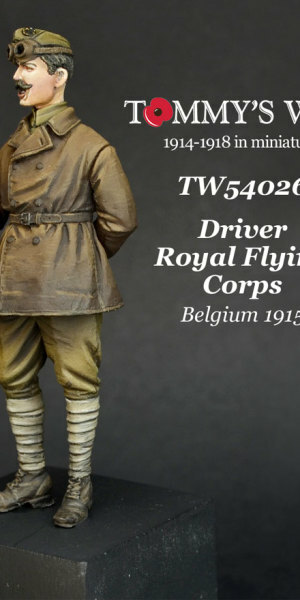 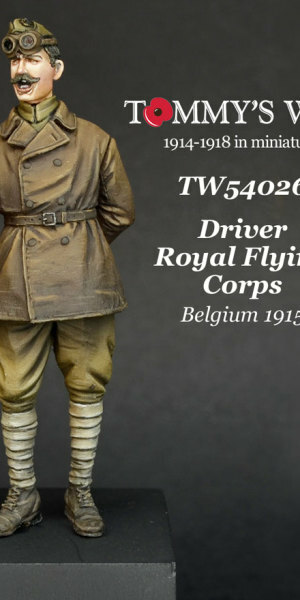 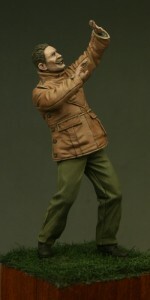 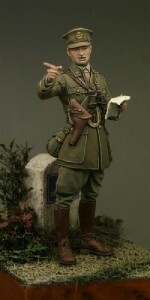 This figure depicts a driver of the Royal Flying Corps in the winter of 1915 and is wearing the rubberized waterproof coat issued to RFC personnel. 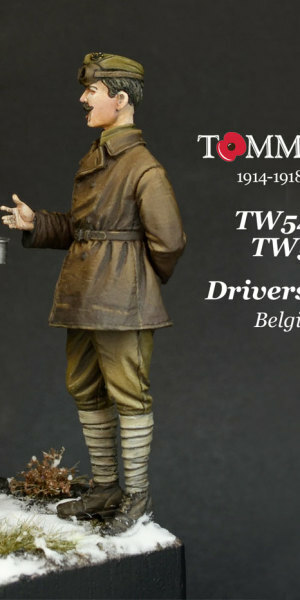 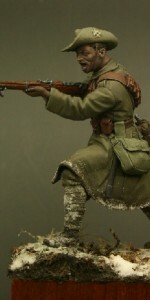 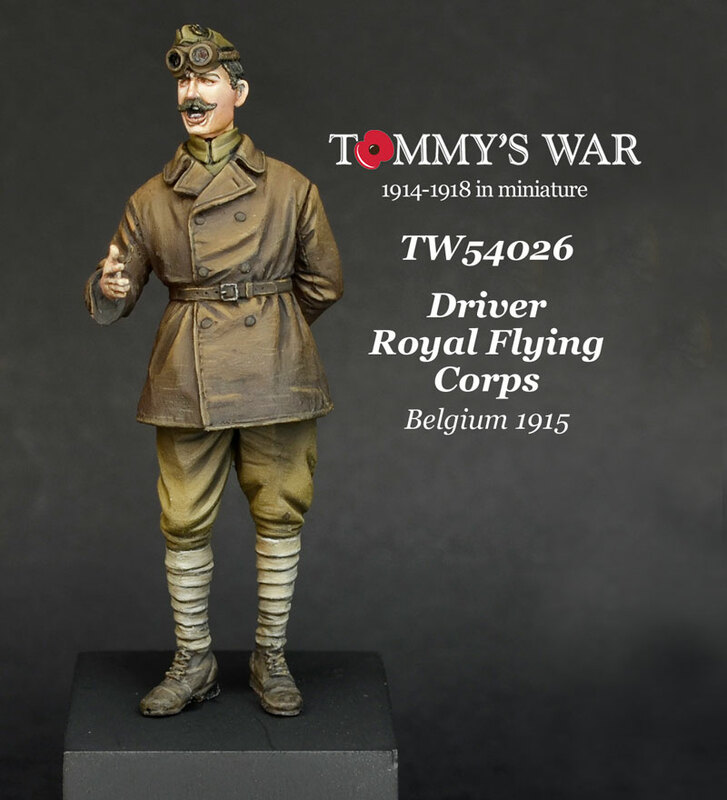 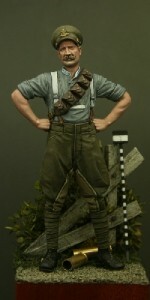 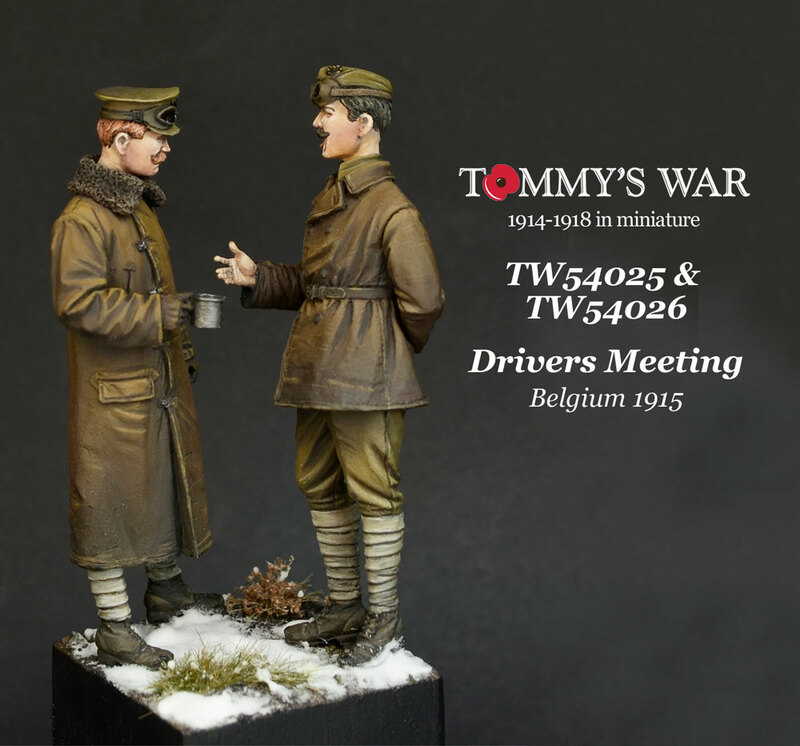 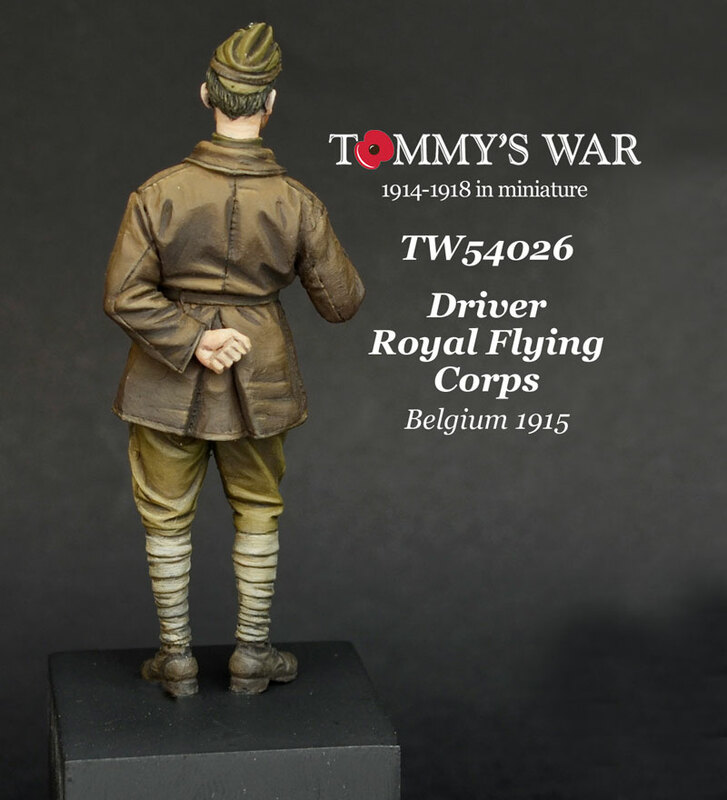 The figure is designed to work with figure TW54025 (Driver, Army Service Corps) but could compliment a number of figures in the Tommy’s War series. 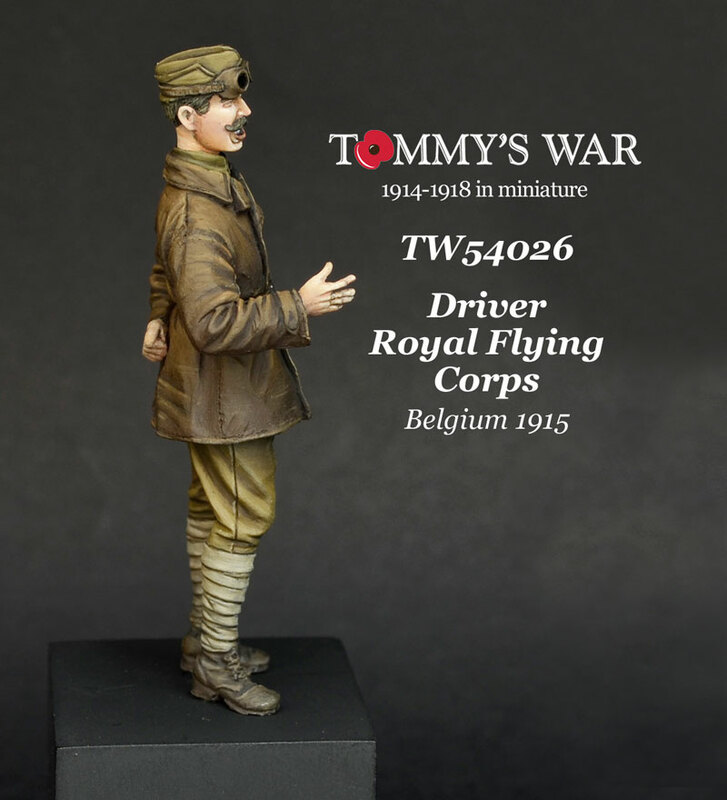 The figure is perfect to display with our vehicle range which includes both Thornycroft and Crossley vehicle kits. 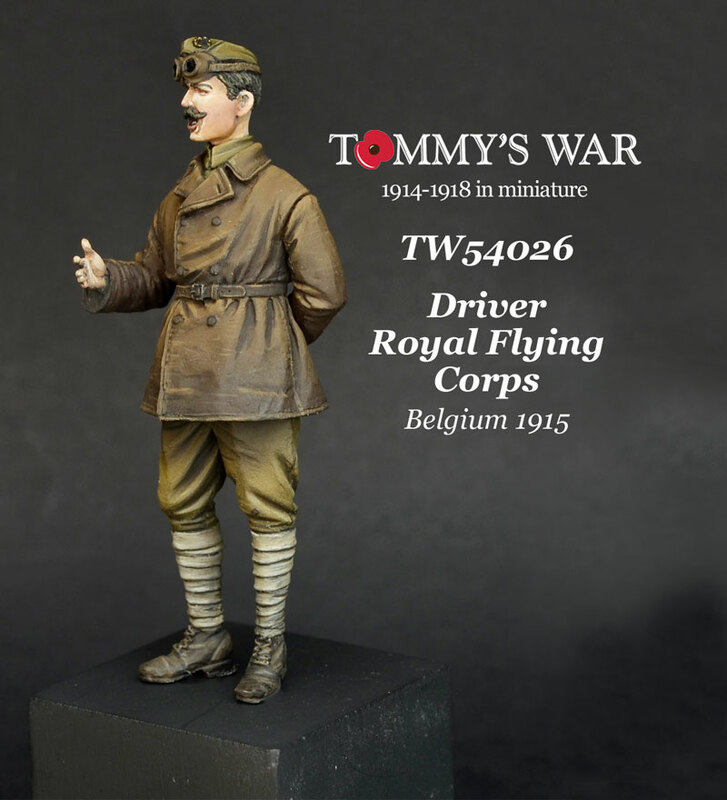 and could also be displayed as a motorcycle despatch rider or pilot/navigator.